Franklin Township NJ Real Estate Info is for Gloucester County. We have plenty of links and info for it. 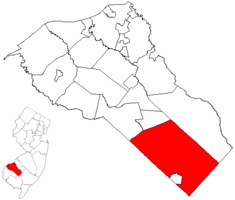 There are several different Franklin Townships within NJ - this one is for our Southern NJ Real Estate area - Gloucester Co. This is another area where the Southern NJ Real Estate MLS doesn't utilize "Franklin Township" as its own area. In this case, we are using the School District criteria to search for listings in "Franklin Township.